In this blog I will be covering some of the key features available in the August 2017 (1708) release of SAP Hybris Cloud for Customer for Fiori client. 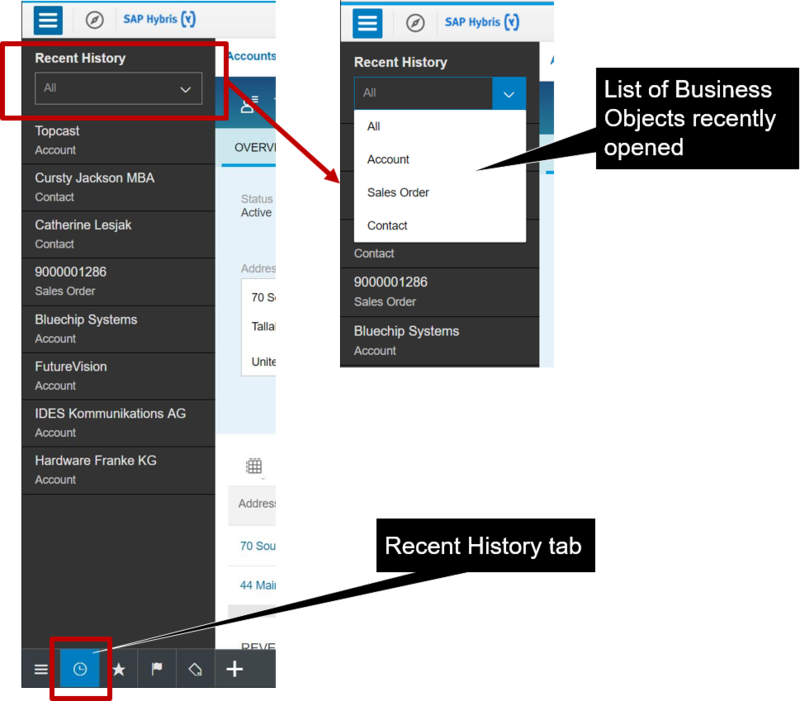 Get a more streamlined experience in finding and retrieving recently accessed business objects in different work centers through the new Recent History tab in Navigation menu. Recent History records all the recent business objects opened by you and displays it in a single list for quick access. Tracks all standard and custom objects. Business Objects opened in Offline mode are also tracked. Display “All” objects accessed or filter by specific object. Recent history list is maintained by device (no synchronization across devices). Administrators and Users can disable Homepage from being the default landing page when logging into SAP Hybris Cloud for Customer. In this case, the first work center view in HTML5 UI becomes the default landing page. In the Personalization and Adaptation for Homepage, the user/administrator can uncheck the “Set homepage as the start page” option. 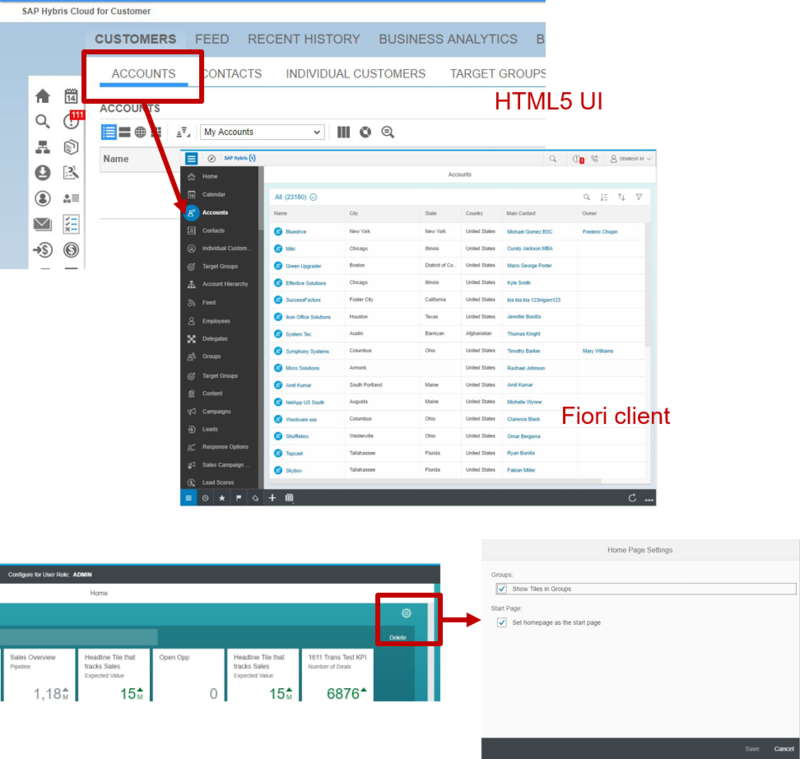 The first work center view for the user/business role in HTML5 UI becomes the default landing page for Fiori client. Advanced Search filters have now been enabled for lists on smartphones. New filter “Next 7 days” is now being offered in advanced search for date fields. 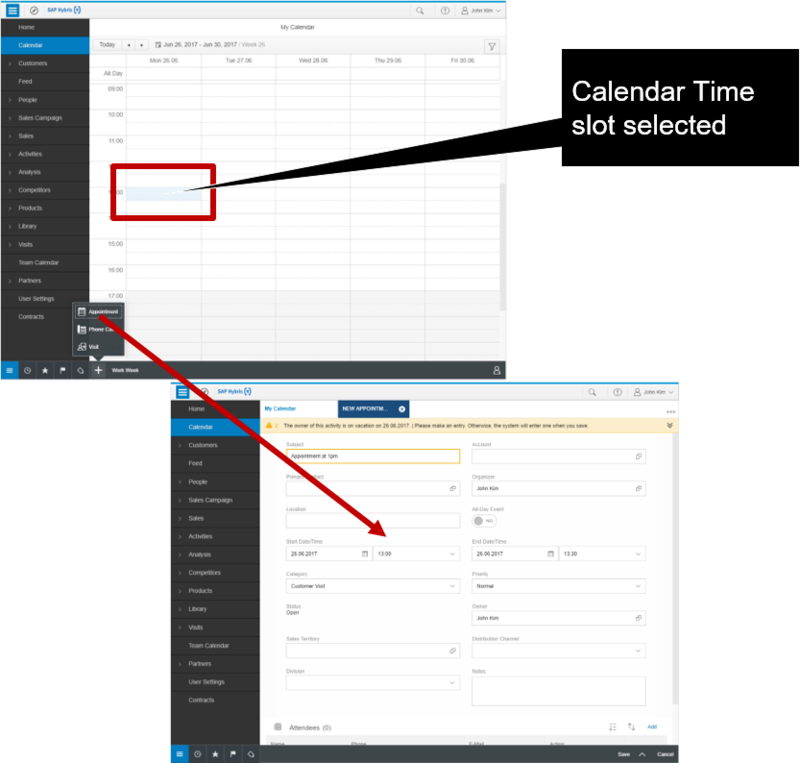 Users can now select a time slot on the calendar and quickly create an Appointment, Phone Call or a Visit for that date-time.